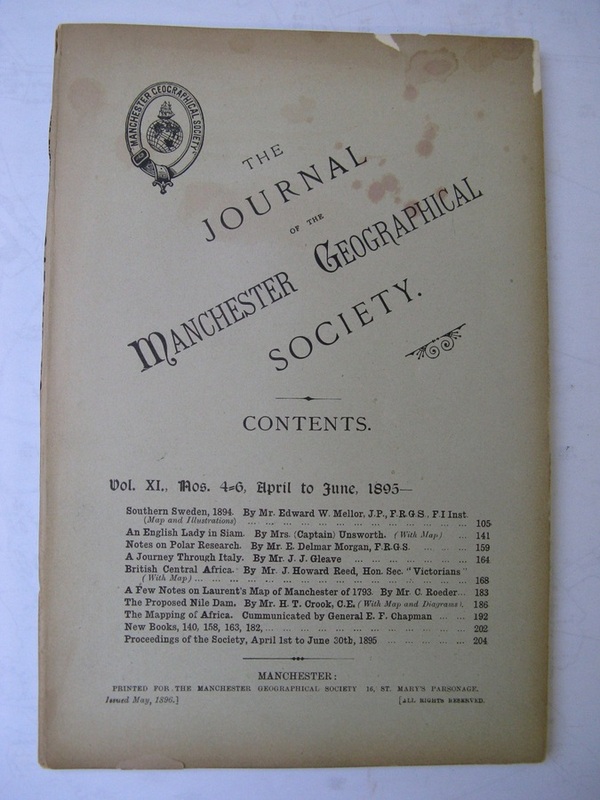 Title Journal of the Manchester Geographical Society: Vol XXIII Part IV, 1907. 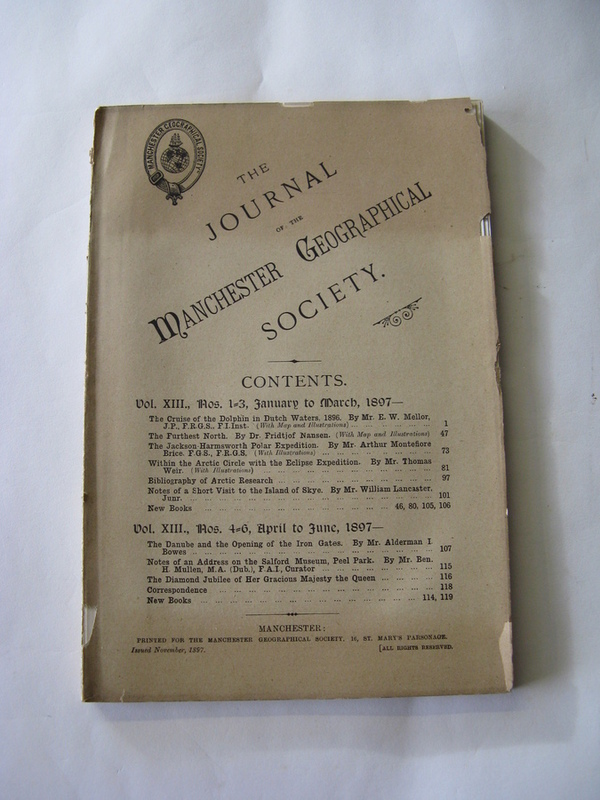 Title Journal of the Manchester Geographical Society: Vol XXXVII-XXXVIII Parts I-IV, 1921-22. 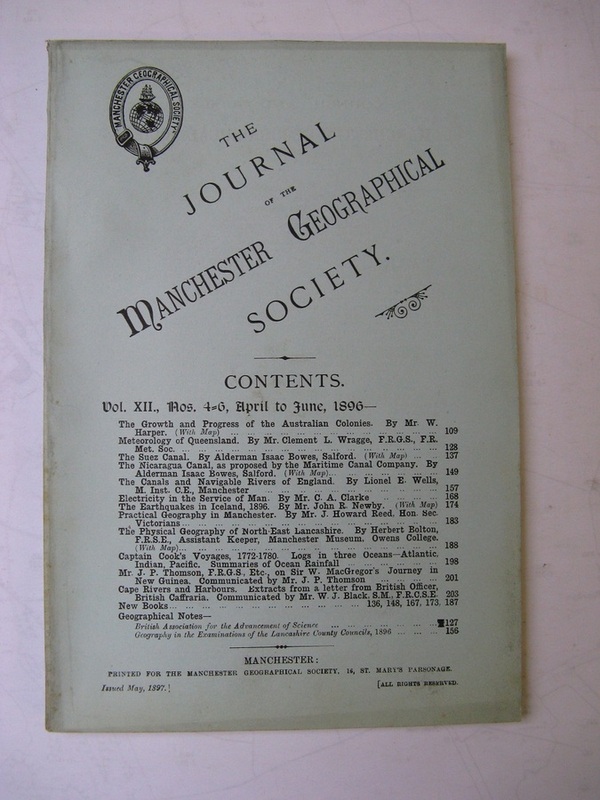 Title Journal of the Manchester Geographical Society: Vol 7, Nos.10-12. 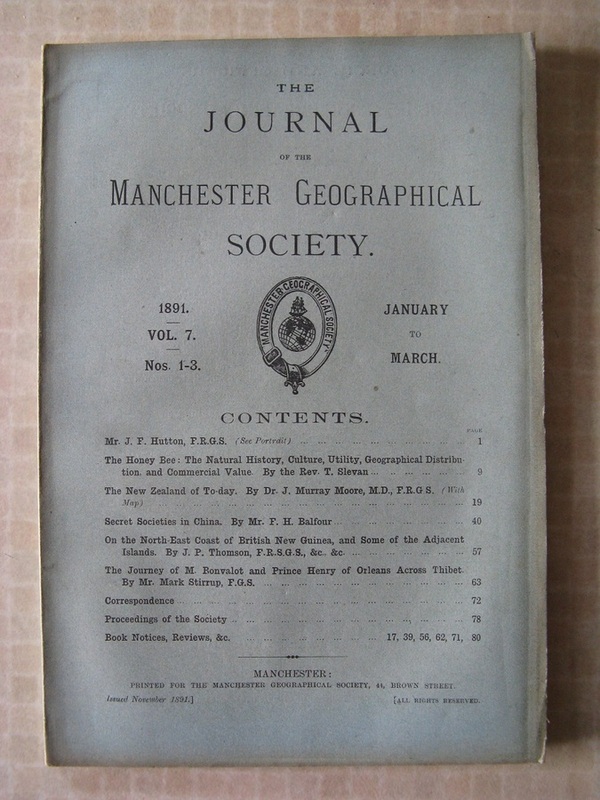 October - December, 1891. 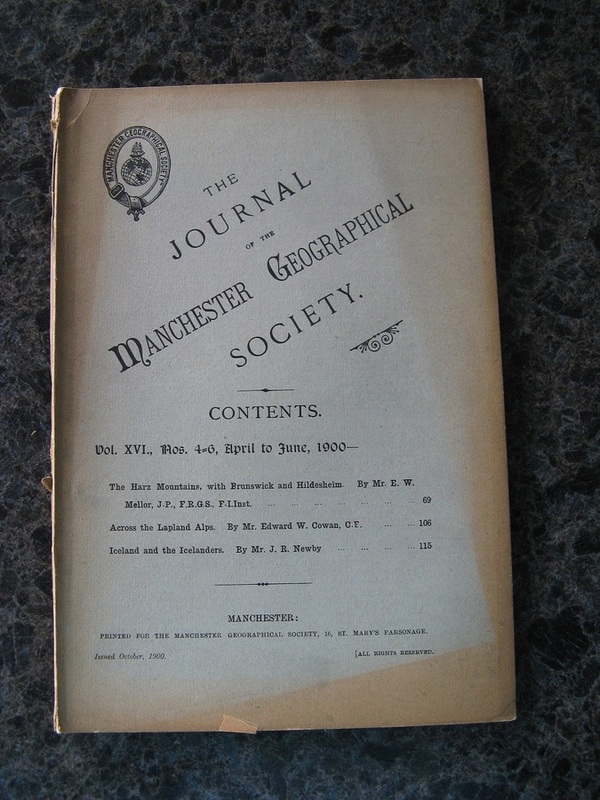 Title Journal of the Manchester Geographical Society: Vol 7., Nos. 1-3 January-March 1891. 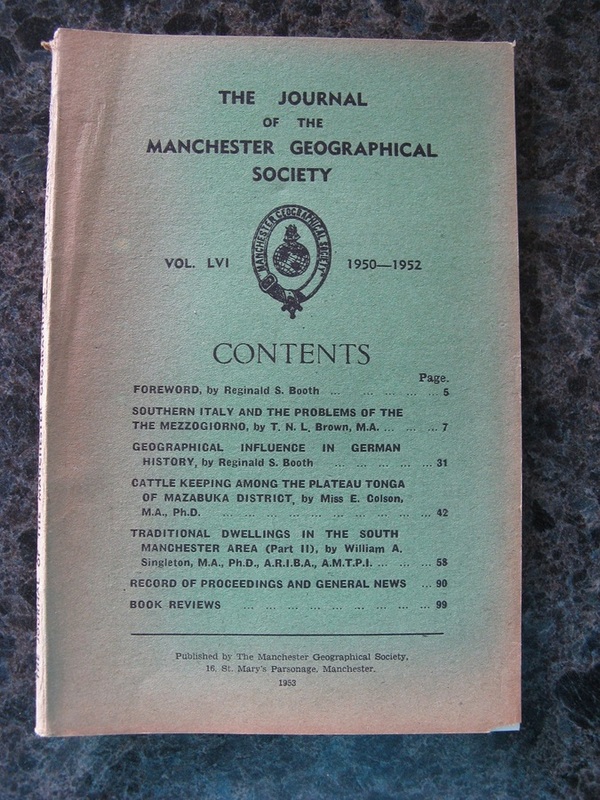 Title Journal of the Manchester Geographical Society: Vol LIII, 1945-47. 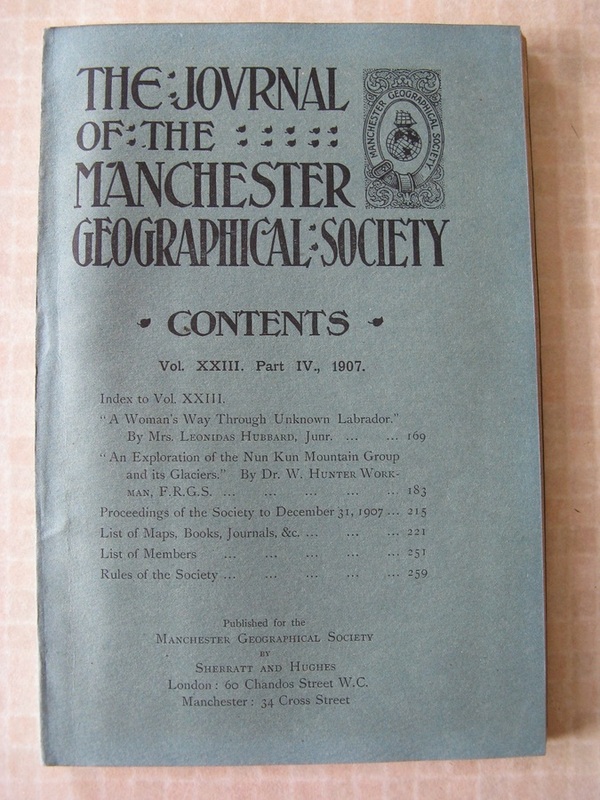 Title Journal of the Manchester Geographical Society: Vol LV, 1949-50. 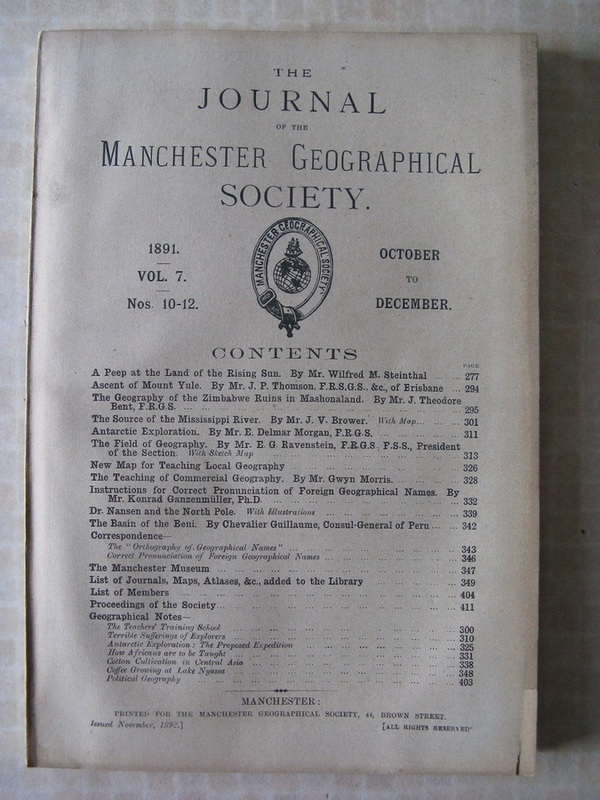 Title Journal of the Manchester Geographical Society: Vol XI., Nos. 4-6 April-June 1895. 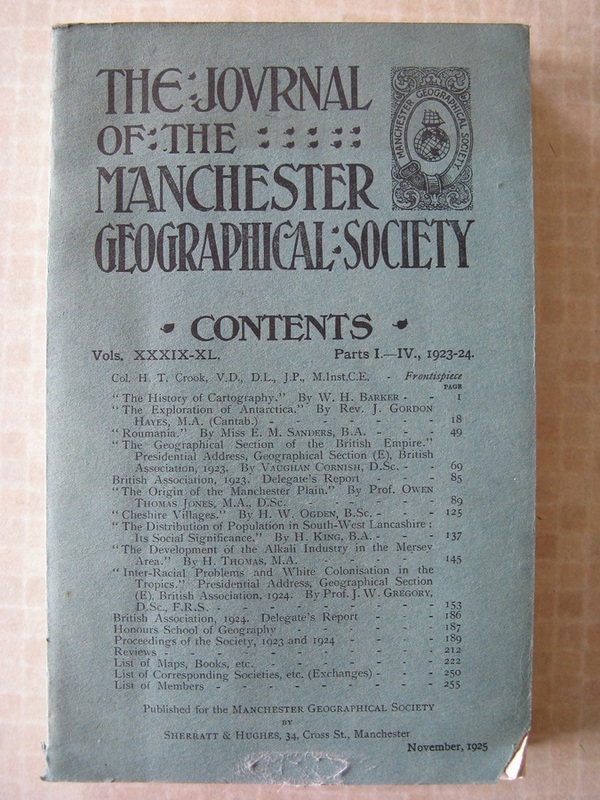 Title Journal of the Manchester Geographical Society: Vol XII., Nos. 4-6 April-June 1896. 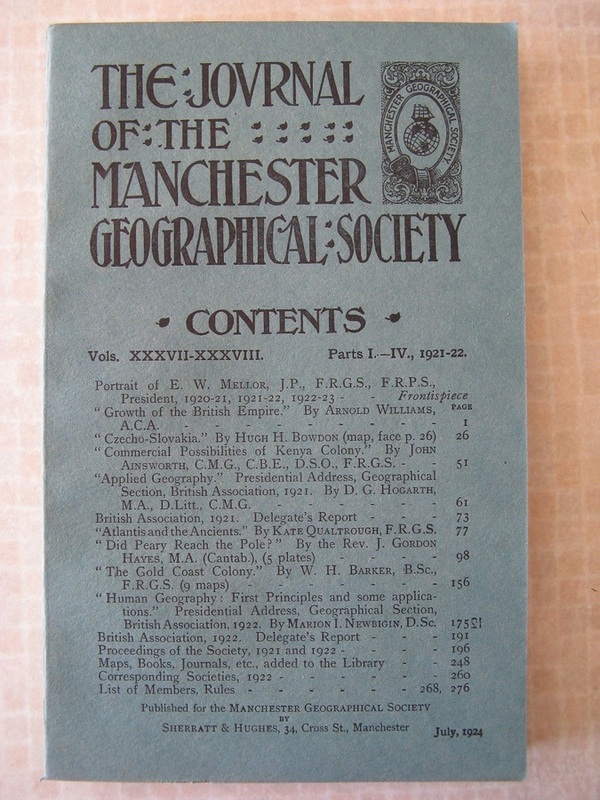 Title Journal of the Manchester Geographical Society: Vol XLIII, 1927. 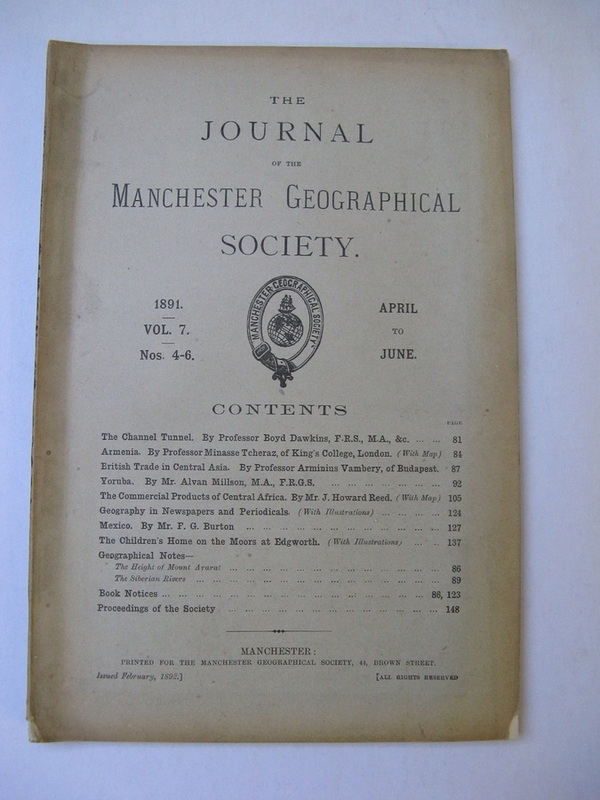 Title Journal of the Manchester Geographical Society: Vol XVII., Nos. 7-9 July-September 1901. 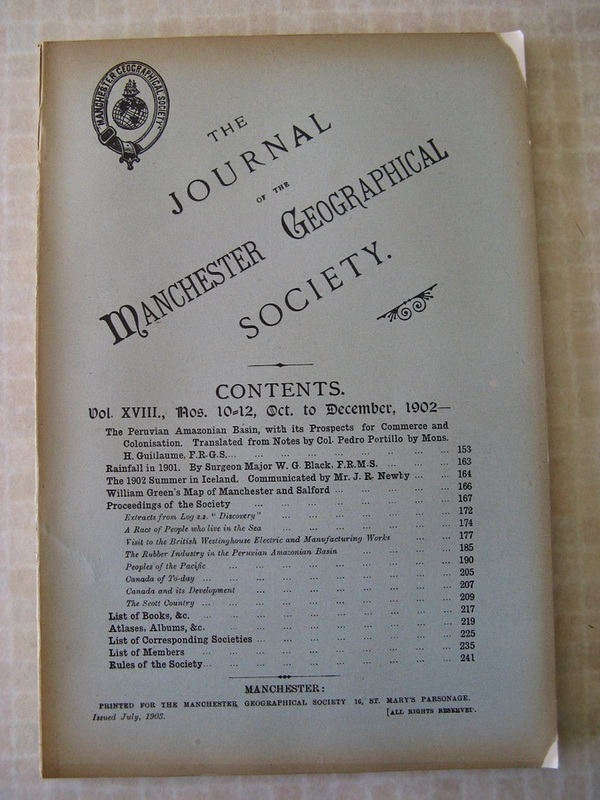 Title Journal of the Manchester Geographical Society: Vol XXI, Nos. 1-6. January - June, 1905. 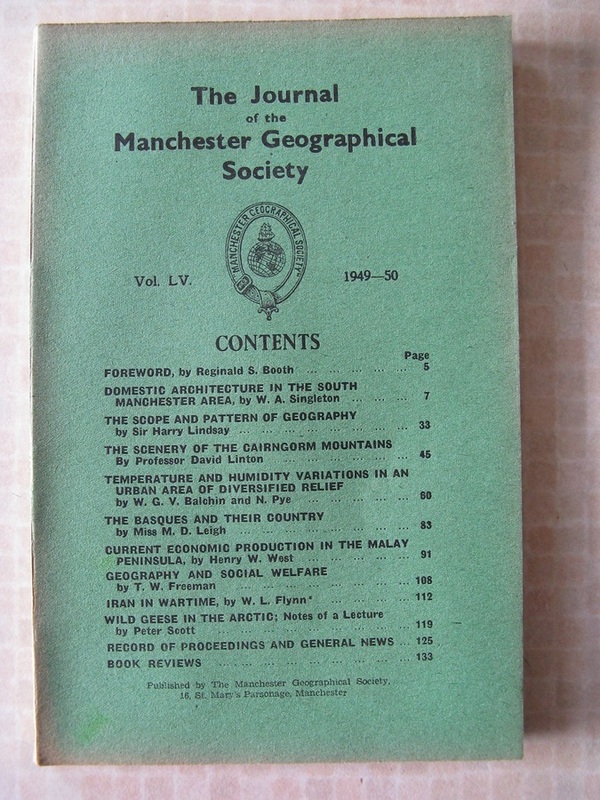 Title Journal of the Manchester Geographical Society: Vol LVI, 1950-52. 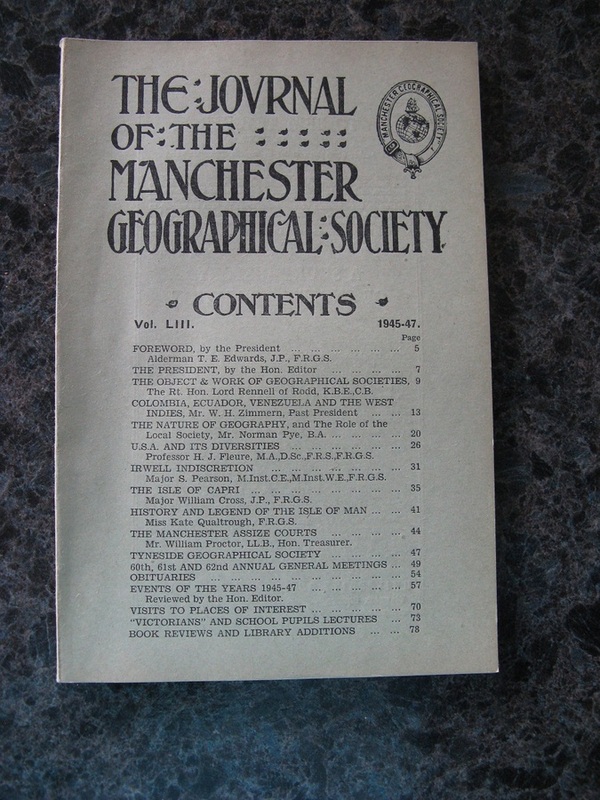 Title Journal of the Manchester Geographical Society: Vol XVI, Nos. 4-6 April-June 1900. 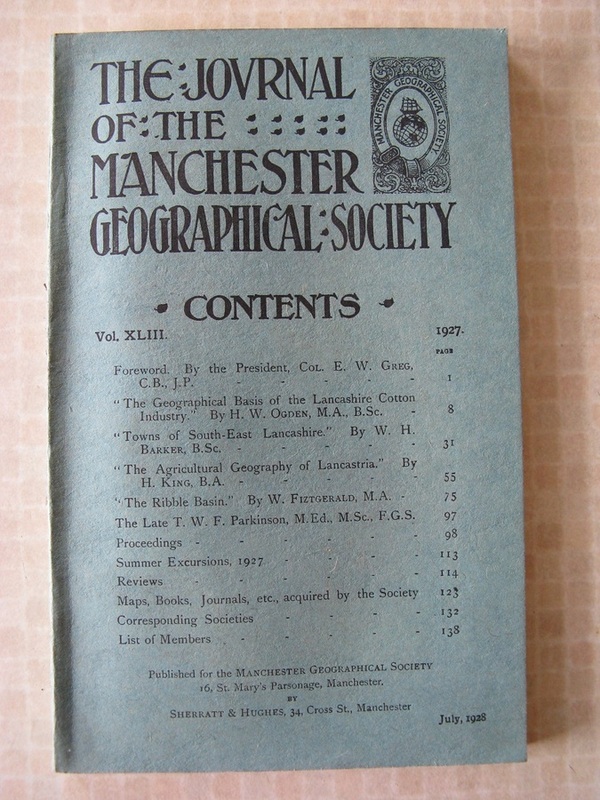 Title Journal of the Manchester Geographical Society: Vol XIII, Nos. 1-6. 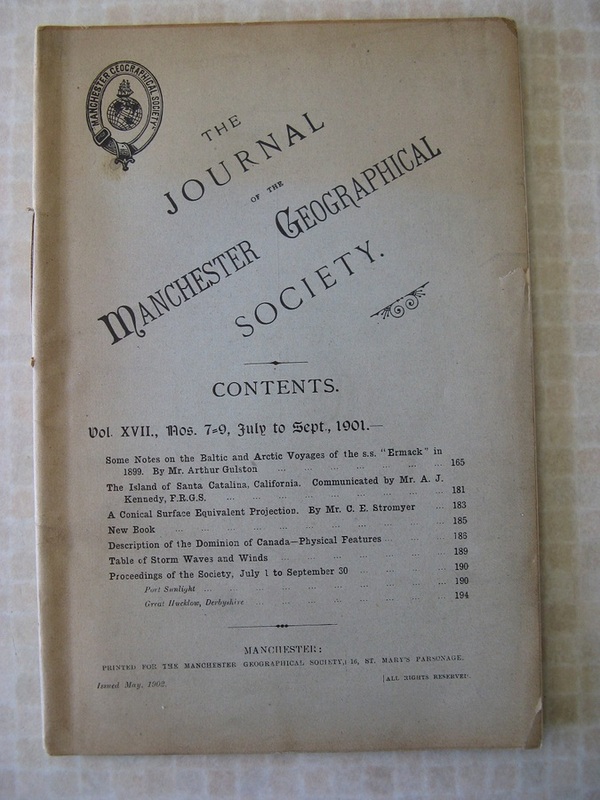 January - June, 1897.